I had forgotten to post my commissions and since I am in the middle of a painting, I thought this would be a good time to post one of them. 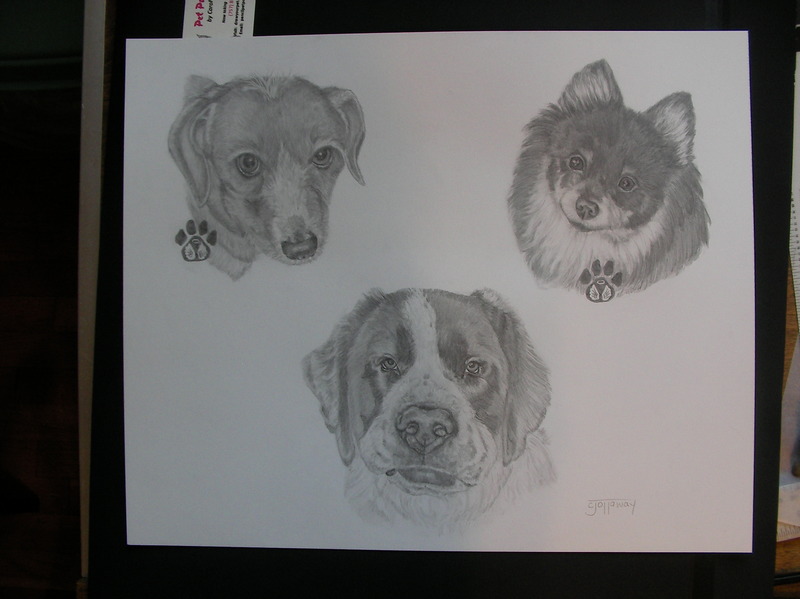 This was actually the final commission, but I can’t seem locate the other picture. It’s in my computer somewhere, but I can’t find it. The two with the paw prints have sadly passed on to that great rainbow bridge. I had heard that when she opened this she was so happy and overwhelmed that she cried. I don’t know how I feel about the crying part. I can’t stand to see someone cry, it just gets me all upset. Yes, I am filled with goo, but I also remember how I felt the day we lost Sam. It’s still just horrible if I let myself think about it, so I can’t even begin to tell you how difficult it was for me to draw these portraits. 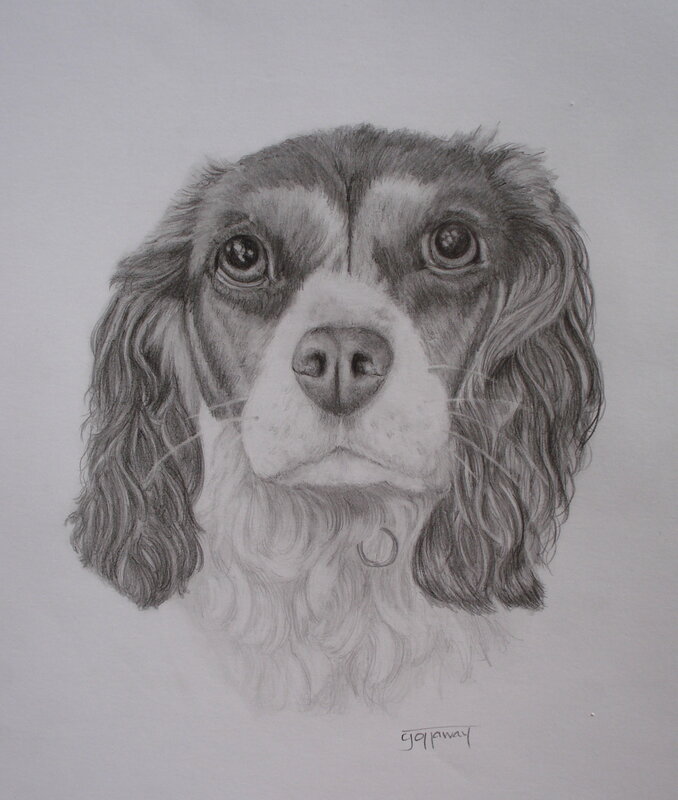 I hope I get to the point where I can draw a pet and I will fondly think of him with a smile, but so far I just can’t seem to shake the look of helplessness in my husband’s eyes and the hurt in my daughter’s. It just makes my hair stand up….See what I mean? I had no intention of bringing him up…and there it is! When I least expect it, it comes and slaps me in the face. Soooo…let me move on to something else. The painting. I have been working on 3 16 x 24 (I think) museum wrapped panels for my living room. Right now, it has so much paint on them that I had to put them outside to dry. Outside it’s in the 60’s with a breeze…really nice. I just hope the creepy crawlies don’t decide to crawl, jump, fly in, run, or walk on them. I’ll post a picture soon (hopefully). I guess it’s safe to start posting my commissions that finally found their new home over the holidays. Then, I got to thinking. Every artist has their own style. I mean, I’m sure you can copy people, you know like replicate master works or the master artist’s technique, but make no mistake you’ll leave your own style. And mine is no different. I like realism BUT my strokes are not. If you look at my art from a distance it looks detailed and refined, but as you move closer to the piece it’s anything but. It’s mostly valued smudges… If it’s good or bad, I don’t know, but if the client sees your portfolio, 9 times out of 10 they know what they are getting and most importantly they love the way you draw. Make no mistake, I was still terrified. But with the above way of thinking gave me the courage to take the portraits on. So if you are a newbie (like myself) find an avenue for potential clients to see your work ahead of time…like brochures or even carry your portfolio. Don’t leave it to a blog or website. 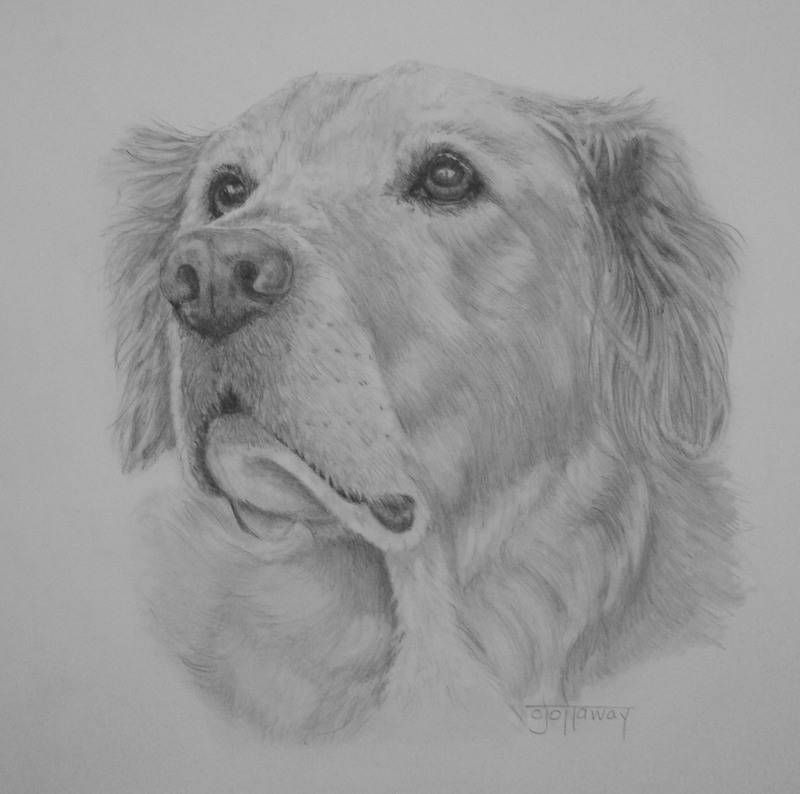 It will take the sting out accepting that pet portrait! I haven’t posted a challenge in a long time. I had forgotten how much I enjoyed these challenges. When this challenge came up only one thought came to mind, my Grandma and her lopers. My dad’s girlfriend was trimming the hedges for my Grandma. After she was finished she was putting the “lopers” in the car and Grandma ran out of the house screaming, “Where you goin’ with my lopers!” It caught the g.f. off guard and she said stuttering, “No, these are my Dad’s lopers and I have to return them.” By the end of the conversation my Grandma ended up with the lopers and my Dad had to sneak them out of the house because they weren’t Grandma’s lopers:) As I re read this story it doesn’t sound very funny but in real life it was hilarious and has provided many years of laughs. Lord, How I miss my Granny! I really like these two new tangles. I think they have an elegant feel to them and were alot of fun to draw. There are probably (by now) thousands of tangle patterns scattered through the wide world web. So if I post something that’s already been done, it is not intentional and please let me know and I will remove the pattern. This is for fun and for sharing and cutting someone off to the knees defeats the purpose. Alot of the patterns on this Zentangle you will recognize..actually they are some of my favorites. This Zentangle was especially fun and although it may be squarish (Is that a word?) It is not just filling in a square or a circle that can be pretty tiresome at times. 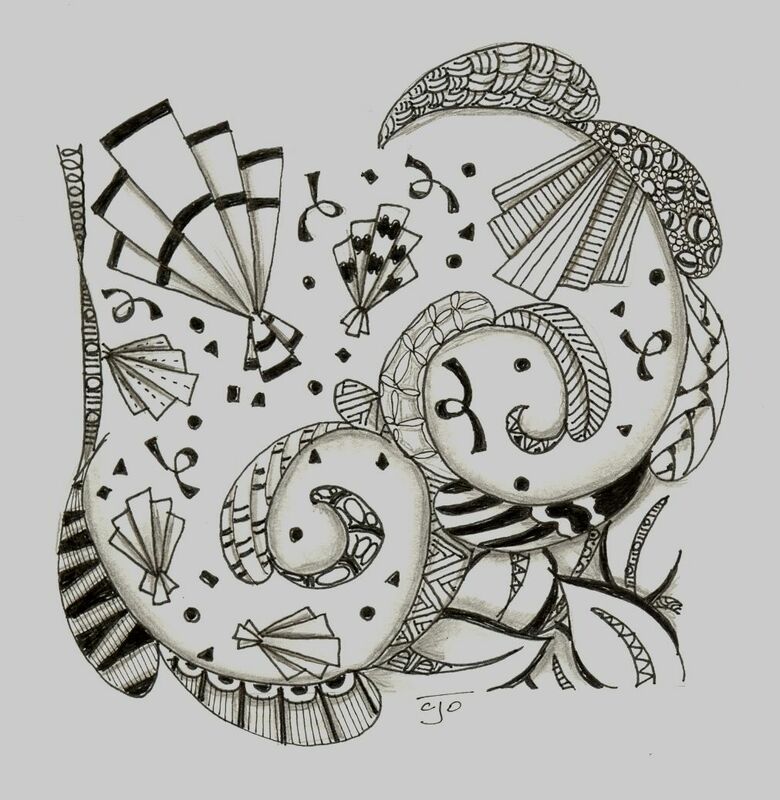 Don’t get me wrong, creating a Zentangle is NEVER tiresome, but sometimes looking at it afterwards is… I admire the Zentanglist that can make Zentangles look like something out of a fairyland…Unfortunately, I am not of those Yet! 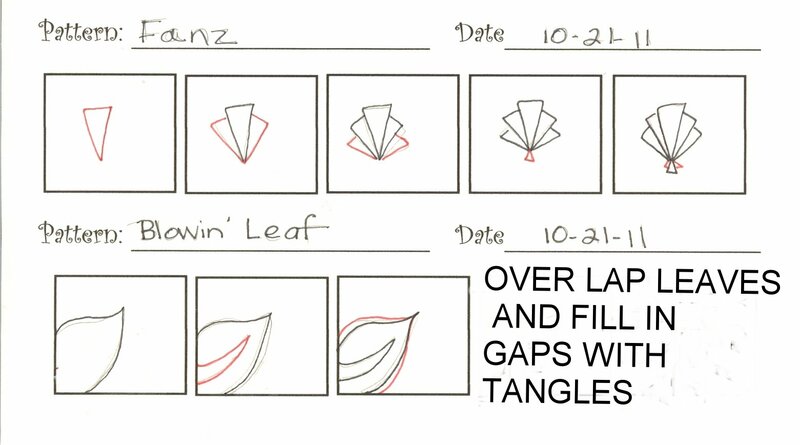 Posted below is the Fanz and blowin’ leaf patterns. 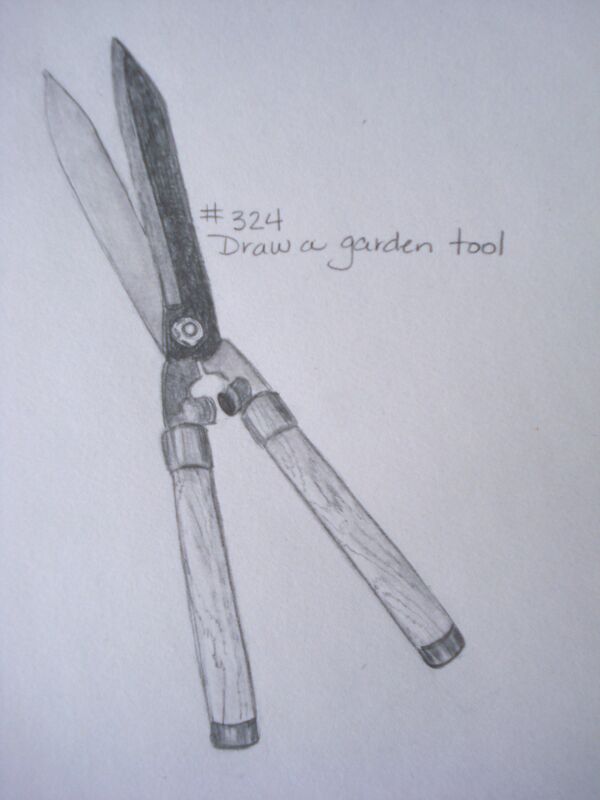 The Fanz is pretty easy and I put in variations in my Zentangle. For the Blowin’ leaf pattern I only put in one leaf so it wouldn’t be confusing. All you have to do is just overlap the same design in different directions in pencil and just erase what you don’t need and redraw with a micron. Then shade the leaves that are under the leaves on top. That’s it. 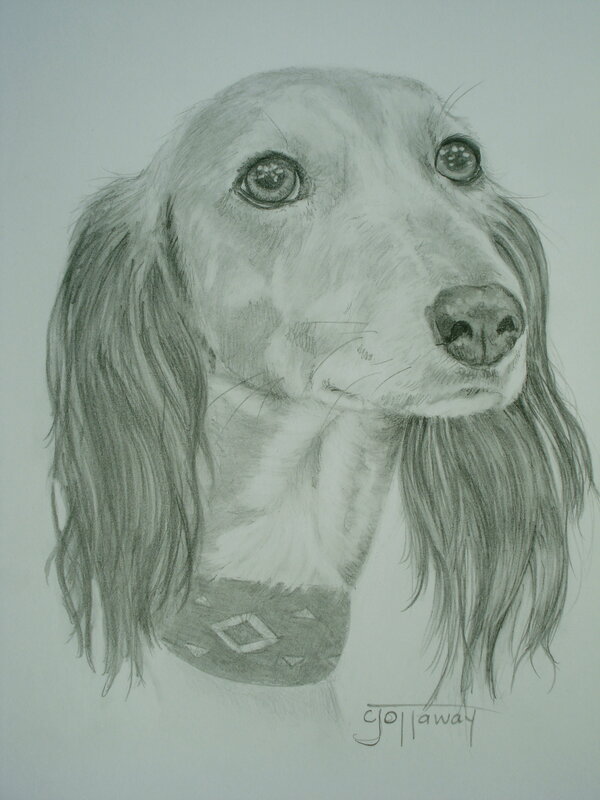 While I was drawing this dog one name came to mind, Paris Hilton. The Saluki breed looks like they would be the socialites of the doggie world. They look kinda diva (ish) and prissy. I’m sure they are not, but it kinda makes me wonder why that in the thousand dog movies that are out, that they would miss a perfect opportunity in this breed. She/He was a good practice. I don’t get the chance to draw a lot of long fur and it was just enough to get my feet wet. I still have a bit more work to do on the collar now that I see this post, but I think it turned out well. I’m still working on my other two pieces. The painting is killin’ me and I don’t know if it will turn out….I’m struggling but not giving up yet. The other drawing is about half done and it seems I’m still having difficulty with trees and bushes. I also I have Zentangle pattern to post soon. This is the first time that I have ever seen an animal in picture or in real life that actually looked wise to me, very Yoda(ish). This dog looks like he or she has seen it all.